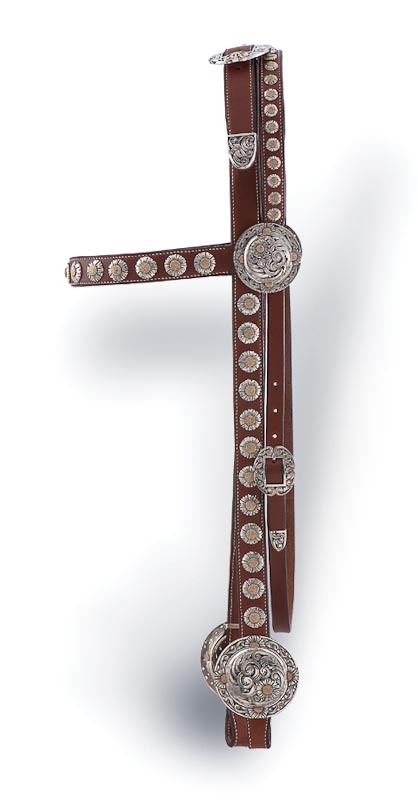 In saddle catalogs of the early 1900s you find examples of fancy headstalls which cost more than the saddles. Many featured a large concha near the bit that gave balance to the horse's head, aesthetically and physically. 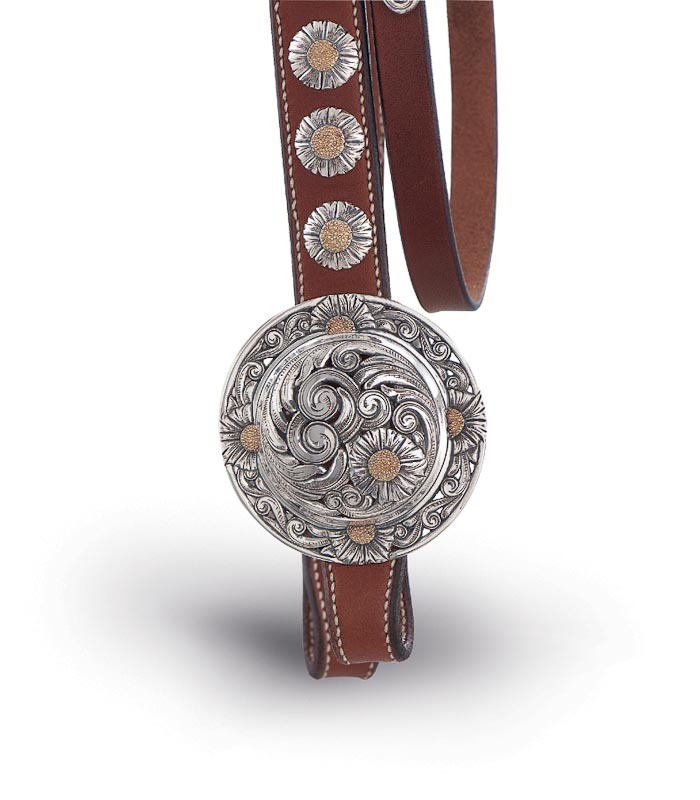 The two-piece sterling silver crown buckle is sculpted and filigreed. 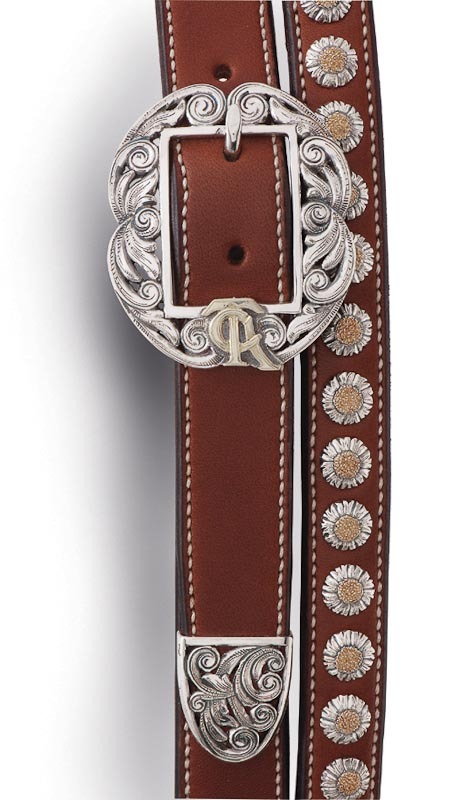 The reverse of the buckle is fully hand-engraved with an 18K gold TCAA logo. 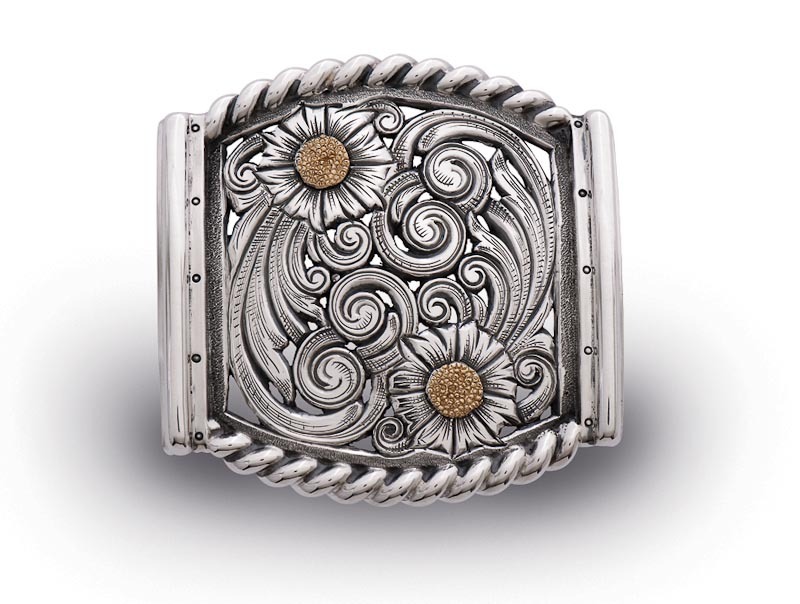 The set screw is the pod of an 18K yellow-gold flower.